Learn about healthy relationships, how to love yourself and how to show respect for each other. 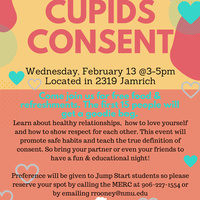 This event will promote safe habits and teach the true definition of consent. So bring your partner or even your friends to have a fun and educational night.